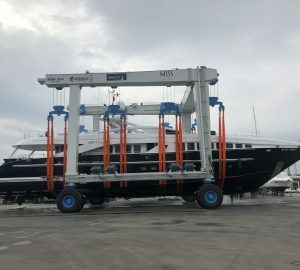 Motor yacht Let It Be M (ex. Let It Be) is the third of the Heesen 37 meter (123’) series and was launched by Heesen Yachts in 2005. Refitted in 2019, she takes her name from the famous Beatles song. She is a semi-displacement fast performance motor yacht with both an aluminium hull and superstructure. Her 16V4000 engines power her along at up to 32 knots and give her a 21-knot cruising speed. 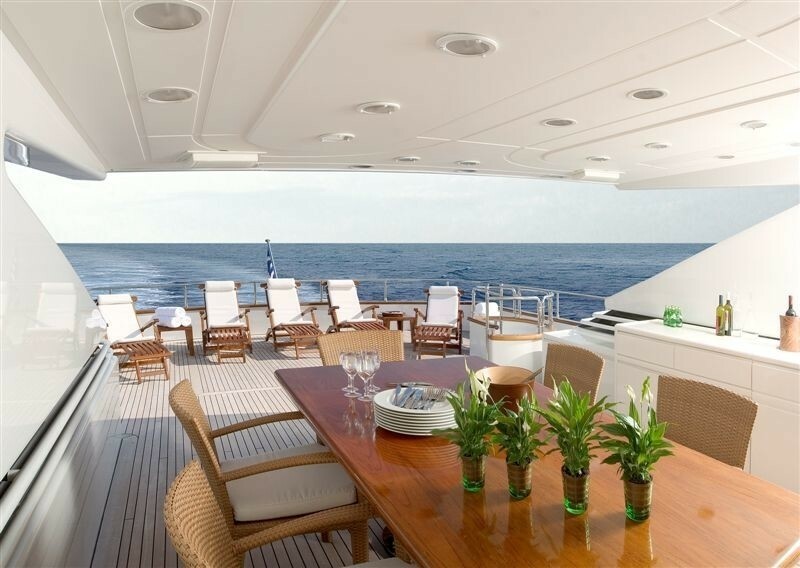 Omega Architects created M/Y Let It Be M’s exterior styling and interior design. 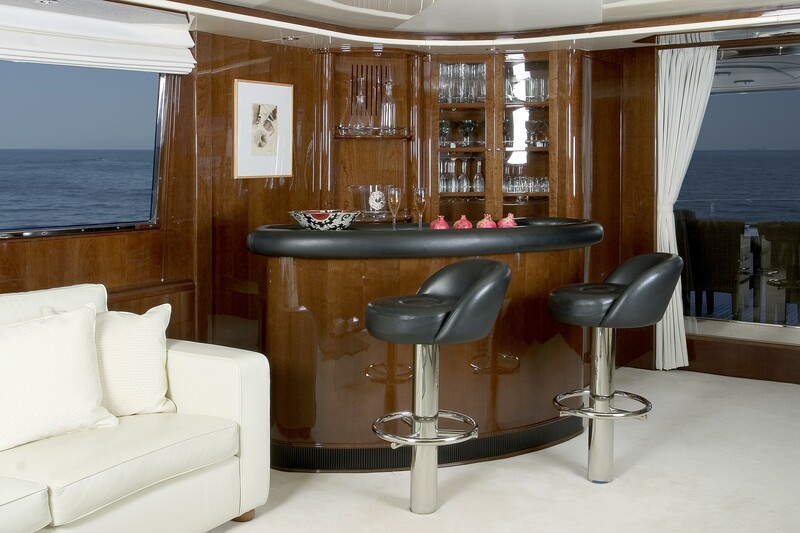 Her interior features a lovely semi-gloss cherry wood with walnut accents throughout. 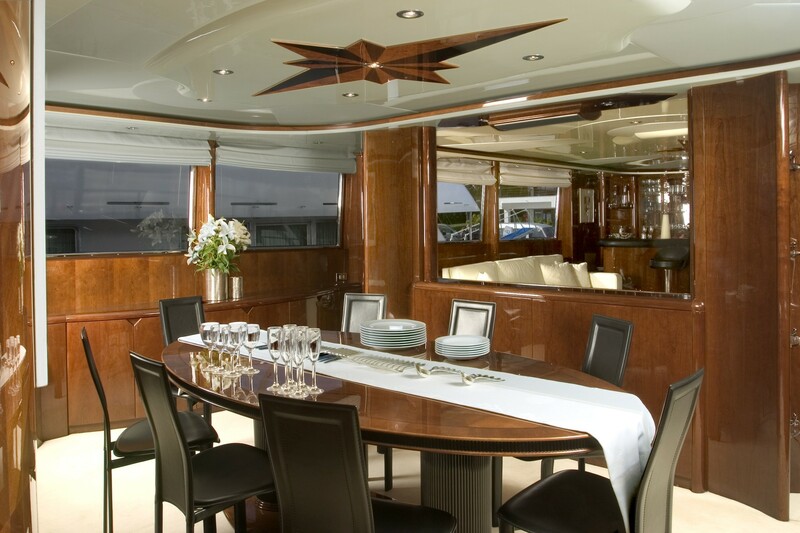 The yacht’s wheelhouse echoes the famous Jaguar sports car and is styled with semi-gloss gray stained maple. Let It Be’s galley has lacquered cabinets and walls with a Corian countertop combined with a stainless steel back wall. 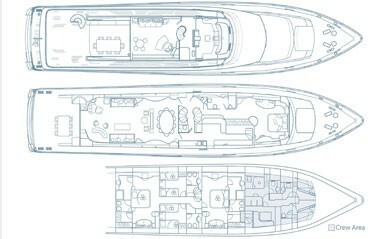 Her flybridge is also well designed and offers a large ten-person dining settee, bar area, and four-person Spa Pool pool. Let It Be M is a fantastic fast motor yacht which is packed with features and represents an ideal charter yacht. 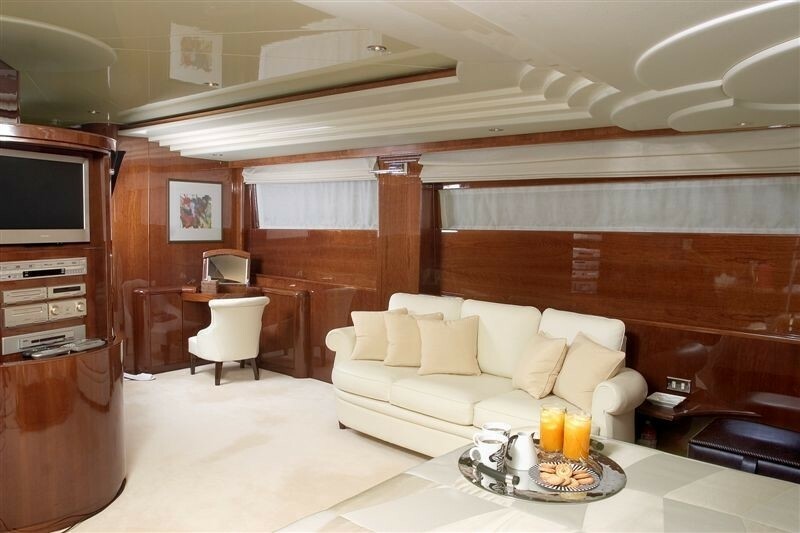 Luxury motor yacht ‘Let It Be M’ offers overnight yacht charter accommodation for up ten guests. 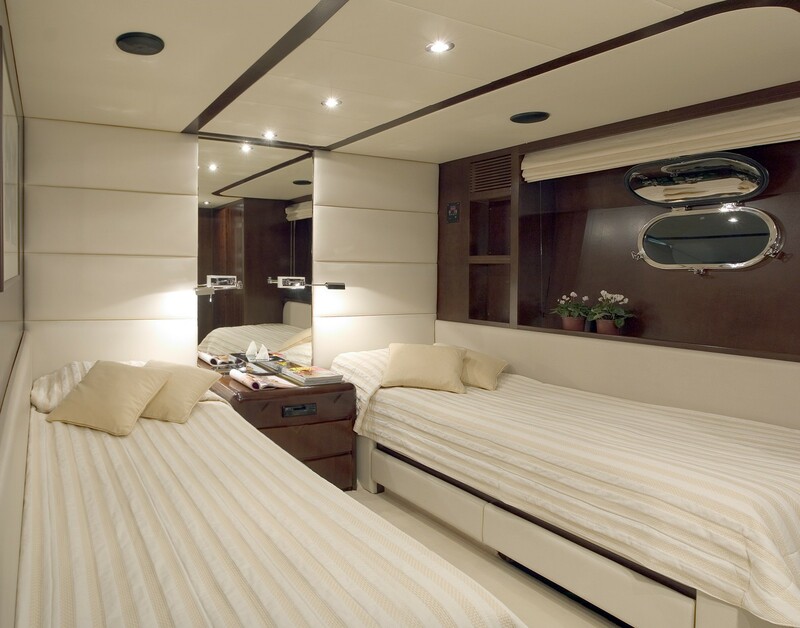 Her main master cabin is well positioned on the main deck and has a King sized bed and a full ensuite bathroom. 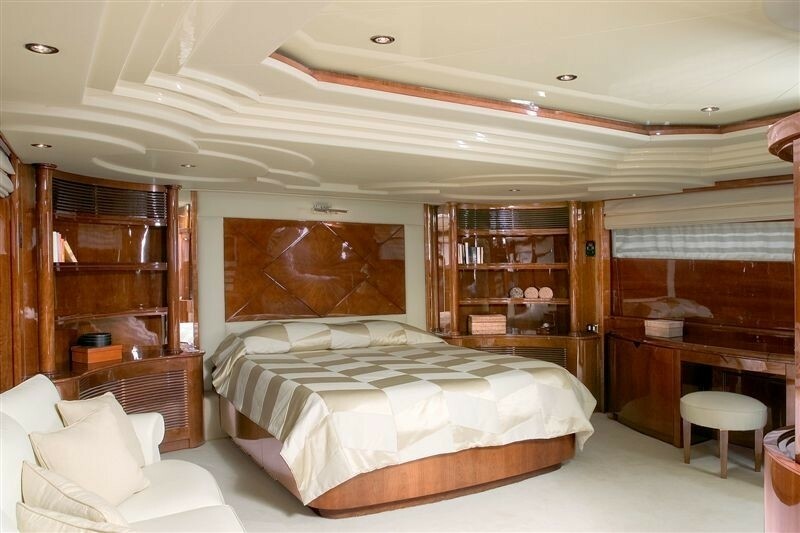 The VIP Cabin is on the lower deck and has a Queen sized bed and ensuite bathroom. 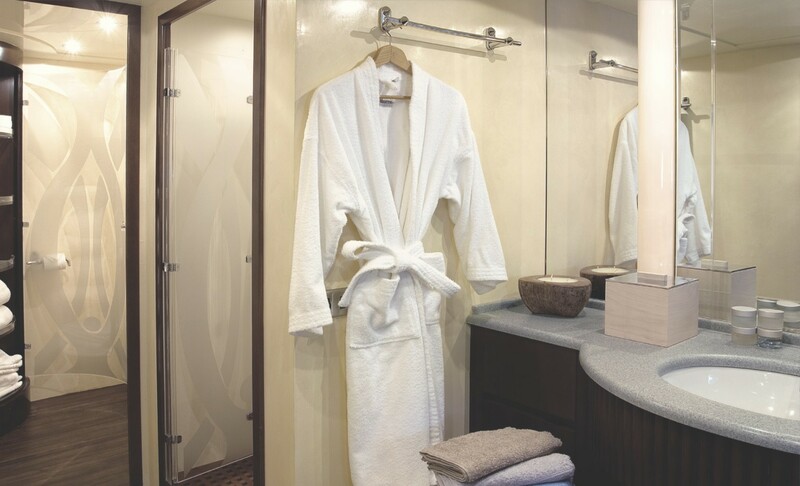 There are two more Guest Cabins on the lower deck with ensuite bathrooms, one with a Queen sized bed and the other with single twin berths that also convert into a queen-size bed if so desired. 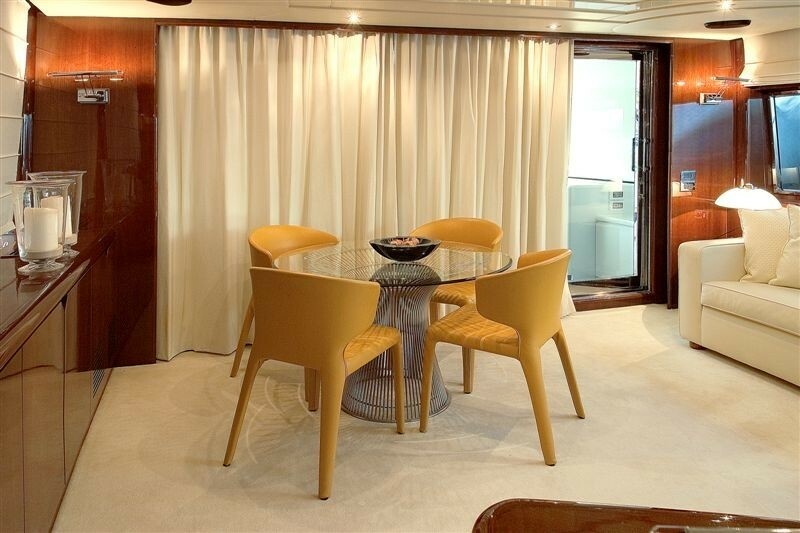 The fifth Guest Cabin offers two single berths in an L shape format and an ensuite bathroom. Motor yacht ‘Let It Be M’ provides the following luxury yacht charter amenities, facilities & Toys: a Large Spa Pool on the Fly bridge, a 6 meter Nouvurania tender complete with a 150hp inboard engine, a SeaDoo Wave runner GTI Jet Ski, a SeaDoo Wave runner 3D (convertible version: jet ski, bob or cart) Jet Ski, Diving and snorkeling equipment, Various Towable Toys such as Water skies, wake boards, ‘Bananas’ and ‘Donuts’, plus and Inflatable climbing mountain. Electronic Entertainment includes a Flat screen Television in each cabin, a 52” flat screen in Salon with Dolby surround and a DVD library, as well as Over 500 hours of stored music for the Hi Fi system. 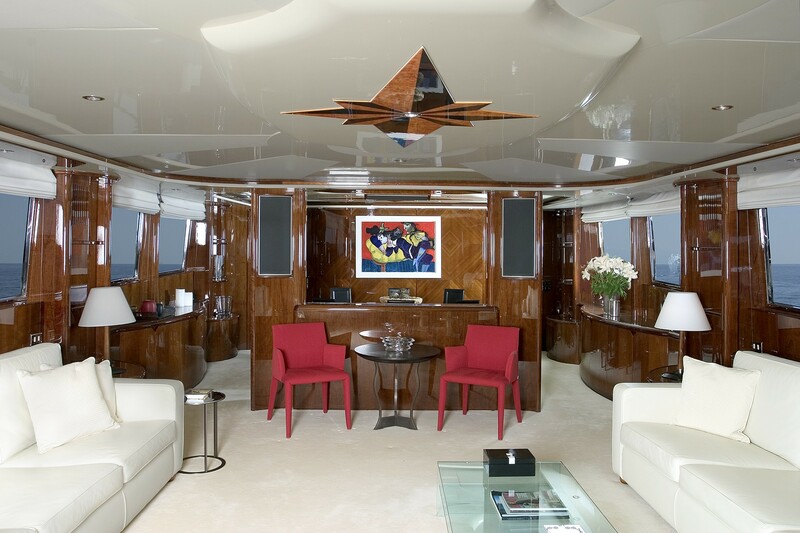 The yacht’s Communications include Full communication facilities and Internet & e-mail via W-LAN connections throughout.